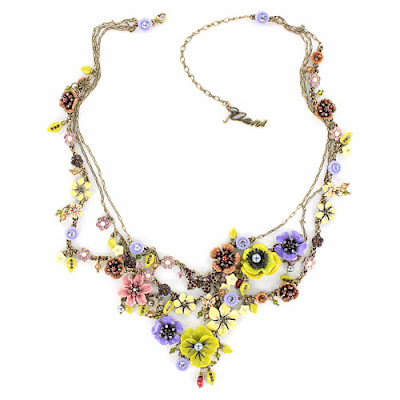 I'm head over heels in love with this Les Nereides Joli Mois de Mai Necklace. It's made of enamel, faceted glass, fresh water pearls, crystal and antique gold plated metal, and despite the somewhat busy pattern, it looks so pretty and happy. 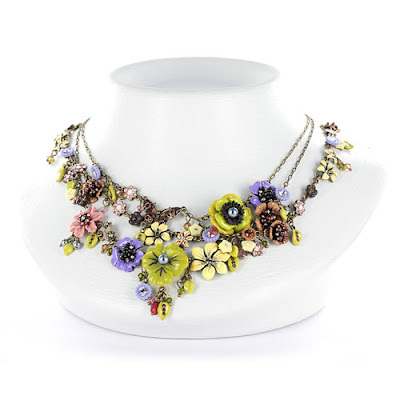 It doesn't hurt that the necklace has the Les Nereides charm with just enough whimsy not to take itself too seriously. Want: Les Nereides Joli Mois de Mai necklace (395 euro. I never promised to be a cheap date) at olivolga.com, which is where I found these photos.